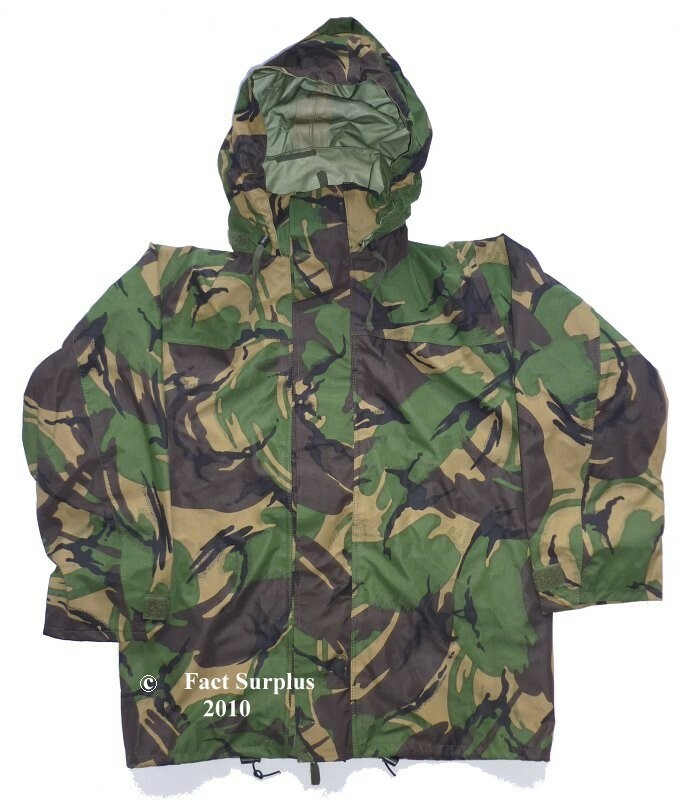 British Army Gore-tex Jacket. Big 2-way zip on front. Velcro fastened double wind flap. Velcro adjustment at wrists. 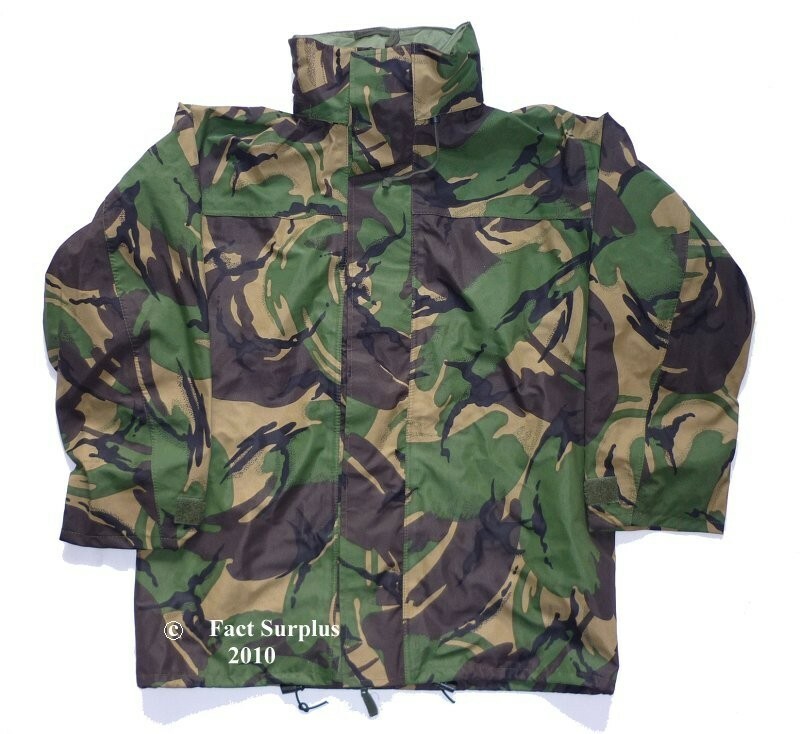 Elasticated drawstring at bottom. Big hood that folds up into collar when not needed. Some of these have outer chest pockets, some don't. Smaller zip next to main zip for access to pockets in other clothing underneath. 34" / 35" chest. Height 160cm. XSmall. Br. 160/88. Actual size 46" around chest. Older style with chest pockets. 38" chest. Height 160cm. Medium. Br. 160/96. Actual size 51" around chest. Older style with chest pockets. 38" chest. Height 180cm. Medium. Br. 180/96. Actual size 51" around chest. 38" chest. Height 180cm. Medium. Br. 180/96. Actual size 51" around chest. Older style with chest pockets. 38" chest. Height 190cm. Medium. Br. 190/96. Actual size 51" around chest. 41" / 42" chest. Height 180cm. Large. Br. 180/104. Actual size 52" around chest. 41" / 42" chest. Height 190cm. Large. Br. 190/104. Actual size 52" around chest. 44" chest. Height 190cm. Xlarge. Br. 190/112. Actual size 54" around chest.